I will always miss your happiness. You lived your "Dash" with complete and utter Joy. A true example to all of us about how to live and love the moment. up everyone's bowls after mealtimes for a biscuit. I don't know if I'll ever have a dog that will do that again. and get it, so maybe you just weren't quite clear on what that "marking" thing meant. that I did with pleasure and heartwrenching sadness. 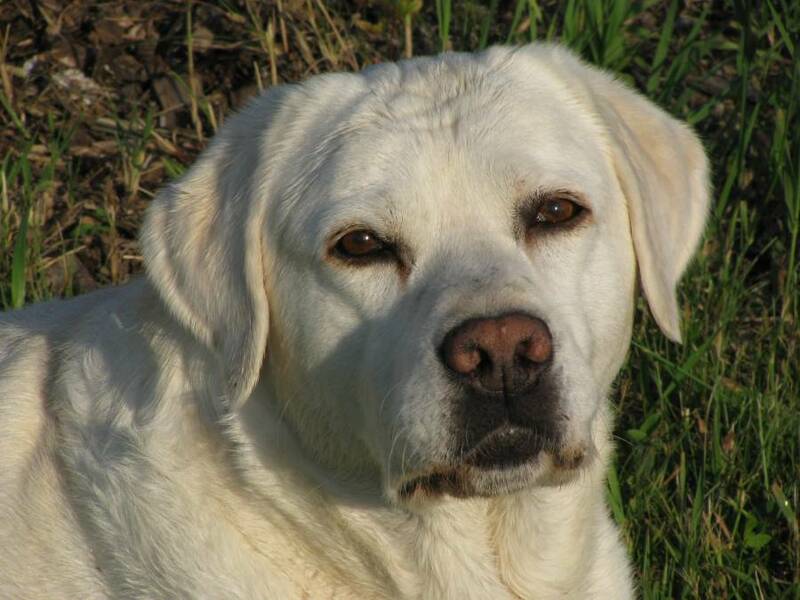 I will never forget you, my beautiful boy. Please take a moment to view a pictorial review of Echo's life. here.....Hi Mommy...I sit in front. Aren't I good?" not happy-she had a plane to catch. Echo finally gets his 1st Novice Agility Leg in 2006 without breaking any equipment! 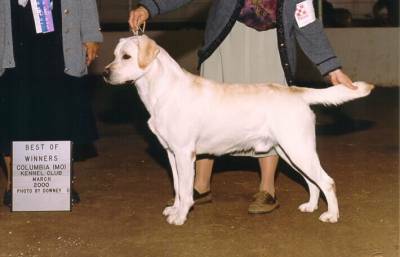 Echo finishes his Companion Dog Title with 4th place at the Mason City show. and SECOND PLACE! Woo-Hoo Echo! On to OPEN!! Best of Breed in Grove, OK. for 1 point. 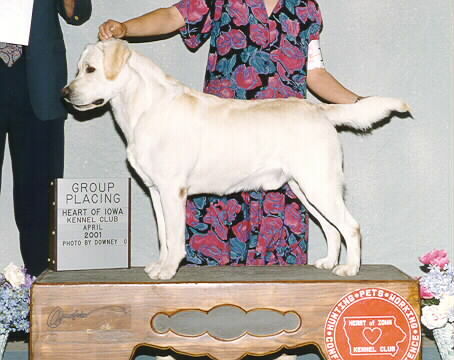 Echo finished his Started Retriever title AND took a GROUP 4 at the Heart of Iowa KC Show. Echo finished his Championship May 11th, 2002. Echo won his first Major with style, going Best of Winners. 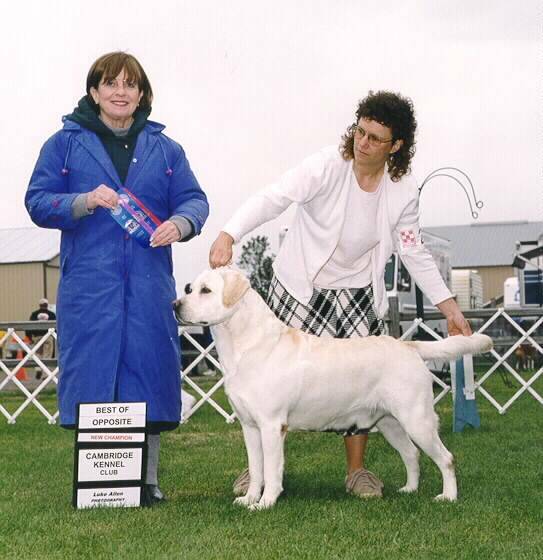 Click here for a picture of Echo's win at the '98 National Specialty at age 7 months. 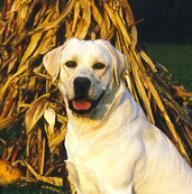 Take a look at a great picture of Echo's brother, Jack. Jack is OFA Excellent, Elbows clear.